The Sweet Itch Rug is made from a specially developed fabric that blocks entry from even the smallest of insects. 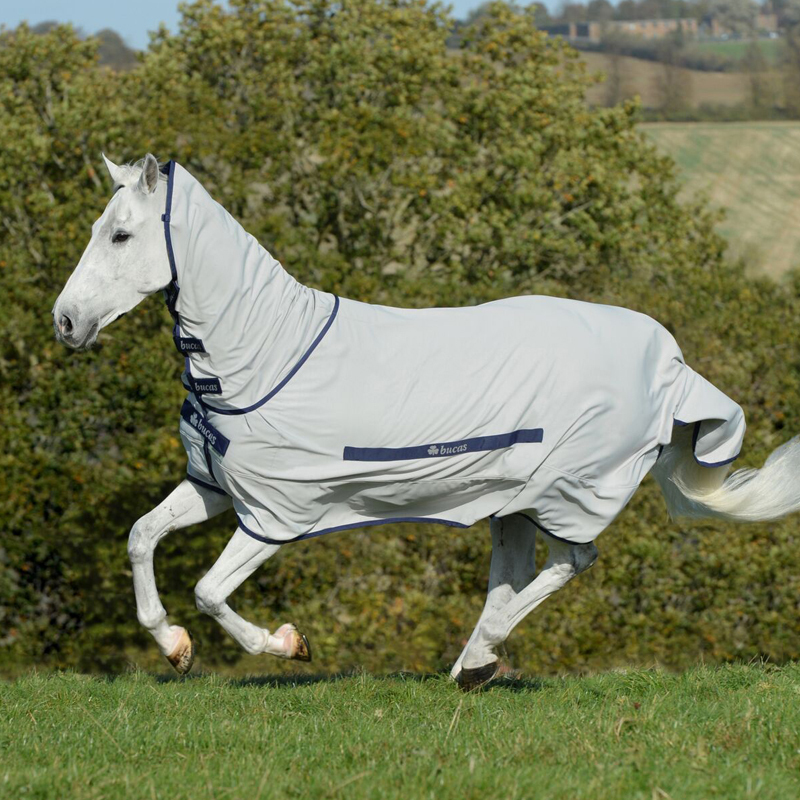 This is a tougher and tighter knitted fabric than the standard Buzz-Off fly rug. The design is a full body cover, with a neck that reaches to the ears covering the whole mane area. An elasticated, detachable belly flap covers from the elbow to the sheath (longer than the standard), offering protection to the horse’s whole underside, with exception to the armpits. Both the shoulder and the mane & tail areas have a silk like lining to prevent rubbing. The tail cover is larger than the standard. The rug also has a UV filter to help prevent the coat from getting bleached. We recommend that all Bucas bugs are ordered in a size larger than you would normally choose.